Westborough – Anna Savage knows that to keep her balance, she has to keep moving. This local Westborough High School senior has been racing for half of her life, and is excited to be taking her competitions to the next level. 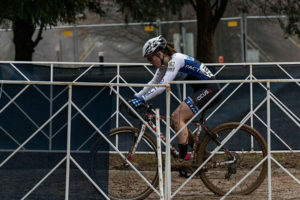 Few students are able to earn athletic scholarships to the school of their dreams; Savage has cycled her way to a Division 1 college scholarship. There weren’t many other girls her age who were cycling when Savage began competing at the age of 9. Undaunted, she and her father collaborated with “Ladies First,” a local women’s cycling team to start the “Girls First” team to help promote the sport with young girls. In a couple of years, she had a team of five members – one was a national champion. 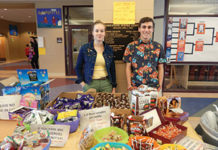 Because there was not a cycling team at Westborough High, during her freshman year, Savage and students from other schools collaborated across neighboring districts to field a cycling team to compete in the New England High School Cycling Association League, competing against students from across New England. Savage has experienced many successes, but life hasn’t always come easily. 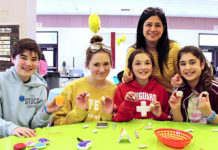 An honors student diagnosed with ADHD and a learning disability, she often has to work hard to focus during school, and has had a great deal of support from family, friends and teachers. Not one to stop moving, she has worked throughout her adolescence to find ways to make her world better. Savage has volunteered with Best Buddies, a program designed to pair special needs students with regular education students. This humble attitude has helped her chase her dreams- no matter what stands in her way. At the high school, she works on the build crews for the theatre department. “I love swinging a hammer and building things with my hands. I had to stick with it, and work harder than guys. I had to re-explain to the people in charge that I don’t want to just help – I want to be in the thick of it!” she laughed. It isn’t easy constantly trying to break a new path, and to fight for what she wants. 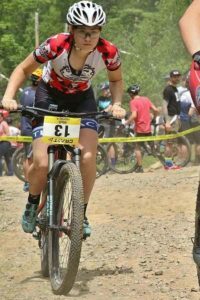 Savage will continue her promising cycling career at Lees-McRae in North Carolina next year.